ITT Goulds 3175 pumps are regularly used and equipped to handle the toughest jobs in the pulp and paper, petroleum, chemical, steel, food and power generation industries. With their renewable parts, sealing flexibility and well-built construction, the Goulds 3175 pump is the smart choice. 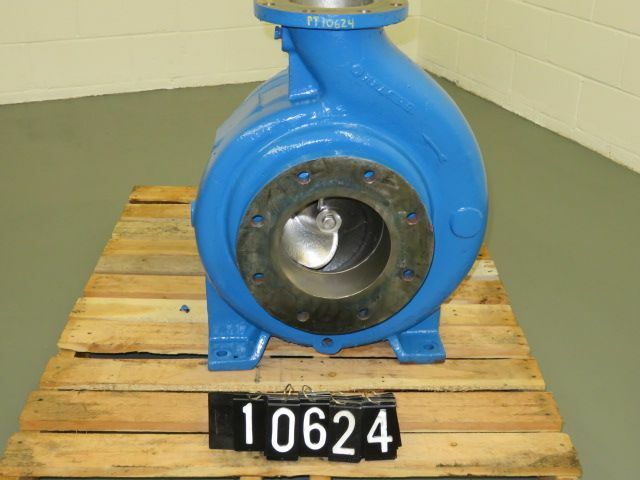 The Goulds 3175 pump models has specifically gained prominence in the pulp and paper process industry, due to its special features. What are some of the features that have made them popular? What are the applications of these pumps? This post answers these questions. These pumps are readily available in 316 stainless steel and cast iron. The pumps are also available in special alloys, such as 317SS, 316LSS, titanium, 6-7% moly, Hastelloy B & C.
Optionally, these pumps are equipped with dynamic seals, which help eliminate mechanical sealing problems, as well as reduce maintenance costs. One of the major advantages of dynamic sealing is that it doesn’t require external seal water. This helps eliminate product dilution, pump contamination, leakage and several other problems. Goulds pumps can also come with a TaperboreTM seal chamber. The chamber features a large bore, which helps improve lubrication and cools the mechanical seal. There is a tapered throat as well as a vane particle ejector, which helps keep the solids away from the seal face or avoid solid build-up in the seal chamber. This helps extend the seal life. Hydraulic performance of the pump can be easily maintained by externally resetting the impeller. This helps in long-term energy savings, as well as minimizing downtime. The shafts are designed for continuous operations under severe conditions, such as repulper, hydropulper, dry end bloke, etc. The shaft undergoes low deflection at high load, which helps retain long-term sealing and bearing life. The pump features a special warped vane impeller which is ideal for paper stock handling. These back pump-out vanes help prevent entry of solids into the chamber as well as reduce stuffing box pressure. Standard Labyrinth Oil Seals: These seals help to avoid contamination of lubricant, thereby extending bearing life. All parts that can wear over time from typical usage, such as the suction side plate, shaft sleeve, stuffing box cover, and throat bushing can be conveniently replaced at low costs. What are Typical Applications for the Goulds 3175 Pump in the Paper and Process Industries? In this industry, the Goulds 3175 pump is employed in various applications such as low NPSH digester circulation, screening paper stock through 6% consistency, primary screen rejects, high-density chlorine to a washer, floatation cell circulation, etc. The 3175 pump is used in steel plants for mill descaling, waste treatment, electro-galvanizing recirculation, etc. Goulds 3175 pumps are used in chemical plants for evaporator and reboiler circulation, as well as slurry services. The 3175 is excellent for pumping slurries like fruit pulps, spent grains, grain mash, beet and sugar, and corn products. All the above information demonstrates why the Goulds 3175 pump has been and continues to be very popular throughout the past five decades. Are you possibly planning to acquire a pump or pumps like this for your processing facility? If so, Peak Machinery is one of the largest and most reliable suppliers of second hand and new surplus Goulds model 3175 and other Goulds model pumps.